It’s been over a week since wildfires started sweeping my home state of California. I’m writing this from home as our office is closed today and it’s downright apocalyptic outside. Air quality is at 235 on the index, which is very unhealthy, so those braving the outdoors are doing so wearing masks. As bad as the smoke is in San Francisco though, the losses felt across the state are incomprehensible. Near Paradise, CA, not far from San Francisco, some 600 people are missing and 66+ reported dead from the Camp Fire. It is the worst fire in our state's history, and that’s only what’s happening in half of the state. It’s easy to feel helpless but I have found that counting my blessings and doing my part of help the efforts really helps. See here for a comprehensive guide to how to help those affected by the Northern California Camp Fire, Hill and Woolsey Fires in. Ventura and LA counties, as well as state-wide donations. We personally donated to the California Fire Foundation, which honors the firefighters putting their lives on the line by providing financial and emotional support to the state’s firefighters, their families, and communities affected by devastating fires. 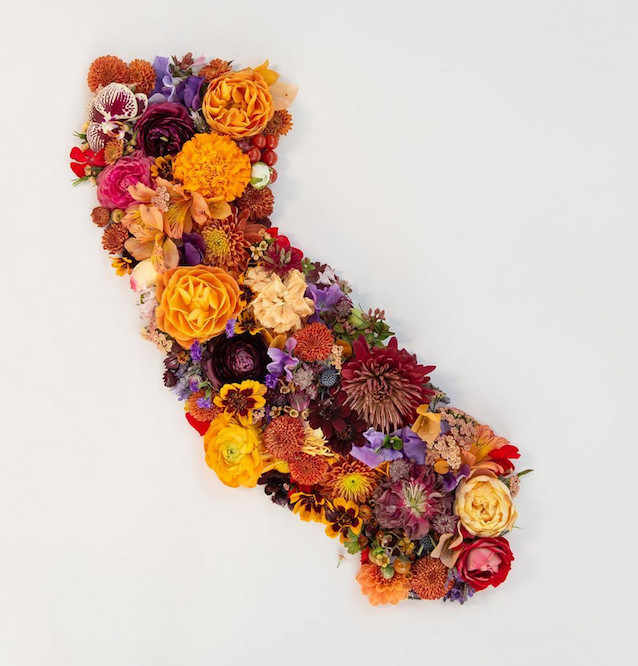 Image is from Northern California-based flower studio The Pollen Mill in partnership with photographer Crystal Lynn Collins. 100% of the proceeds for this limited edition fine art photo print will be donated to assist with relief efforts in California.